Discussion in 'Android Applications' started by Alexandr, Mar 3, 2018. This is all in one calculator, almost full mathematics function, working offline. · Other apps make you enter equations on a single line like something from the 1970s. Our Natural Input solves this problem by allowing you to enter equations as you'd write them on paper, using fractions, roots, exponents and more. 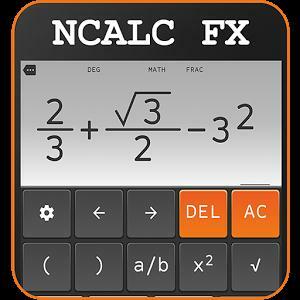 It's called a "natural display" and is a common feature on scientific calculators like the Casio fx 570 991 es/vn plus, and we've finally brought it over to Android!. Confused when your equation looks like this? 50?1/(0.05/12?0.08/12)[1?((1+0.08/12)/(1+0.05/12))^3]. We are too, so we've made structures like fractions display naturally as it does on paper. · Swipe on the keyboard to move the cursor up and down, left and right. Touch to edit expression.